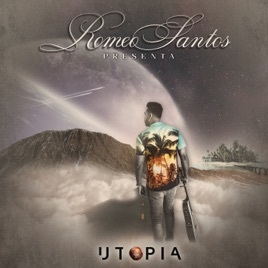 With an April Fool's Day 2019 post on Instagram promising the immediate drop of a new single with his former bandmates in Aventura, Romeo Santos created a frenzy among his fans. Yet this tease proved an even more elaborate ruse for an entire album’s worth of surprise collaborations—not just with Aventura, but with an astounding assortment of Dominican bachata greats. A veritable love letter to the genre from one of its most celebrated practitioners, Utopía connects the superstar bachatero with those whose own music influenced him and paved the way for his tremendous success. On "Payasos," bachata's self-appointed and enduring prince Frank Reyes holds court with its reigning king, while El Jefe Elvis Martínez adds his signature guitar flourishes on "Millonario." Monchy & Alexandra, Raulin Rodriguez, and Luis Vargas, among others, also join Santos as part of an impassioned project that evokes and connects decades worth of Latin music history. He explains the ethos of the album to Apple Music. You've been doing singles with artists like Anuel AA and Ozuna. Some people may not have expected you to follow up these reggaetón tracks with a bachata album. Those happened organically. All of the urban songs that I've done in the last year are basically collaborations that have been brought to me. They're friends of mine, guys that I respect. I want these young urban listeners to understand that, hey, this guy can do more than just bachata. The new fans probably have heard of Aventura, but are more connected to these urban artists and this urban wave. Were you already close or connected with these bachata artists prior to recording with them? Most of them I did know already, some I've even had good friendships with. There's a lot of respect, and when I reached out, one of the things I appreciated was that everyone accepted. I was a little skeptical and afraid that some might tell me, "Well, I don't want to be part of the album because this guy is there." You know, there's always that competitive nature. They were all accepting to be part, and I thought that was really awesome. How would you describe Utopía, to fans of the genre or otherwise? It's almost like a lesson of the traditional bachata. I would risk saying there is absolutely no one that's relevant from the '90s on that's not part of this project. If you're a fan of Luis Vargas, you're probably going to love his song. If you're a fan of Antony Santos, you're going to love that record. I tried to capture the essence of every bachata artist, to really get their true feel and their vibe. What is it about bachata that you think connects so well and so strongly with listeners? Bachata is just something that you feel. You want to basically dance the moment that you hear this. Any type of music that you're able to dance to, you already have a win-win situation. Bachata has a very sexual rhythm, and you don't necessarily need to be Latin or to be familiar with Latin music to just enjoy that. On 90% of the records, they're talking about love—the one thing that's never, ever going to go out of style. 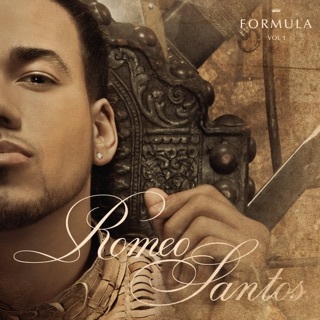 Not your typical Romeo Santos Album he took it back old school on this one, if you were around back then you can appreciate what he did with this album. Amazing!! 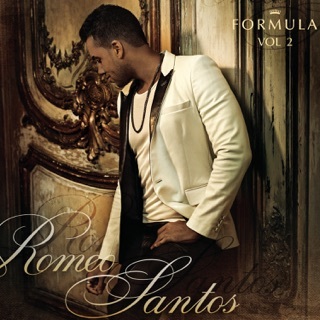 Love how he takes it back to his classic bachata sounds. Can’t wait to hear more songs with Aventura in the future. Love their song. Maybe even a tour.Pleeeeeeeaseeeeeee. Me encanto este álbum con todas esas colaboraciones, Romeo es un genio se introdujo a cada ritmo de los intérpretes.